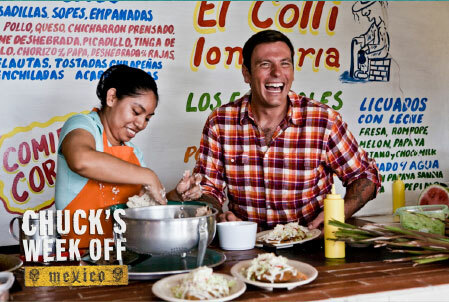 Chef Chuck Hughes is hungry for a break from his daily grind. So he’s heading to Mexico and cruising across the country in an open-air jeep looking for culinary adventures. He off roads up a volcano, he works a shift at a taco stand, he gets into a wrestling ring, he delivers sandwiches in Guadalajara, he ropes a cow with a group of Mexican cowboys, he goes deep-sea fishing, he dives into sinkholes… From coast to coast, Chuck lives out once-in-a-lifetime experiences, meets awesome people and cooks and eats amazing, authentic food!